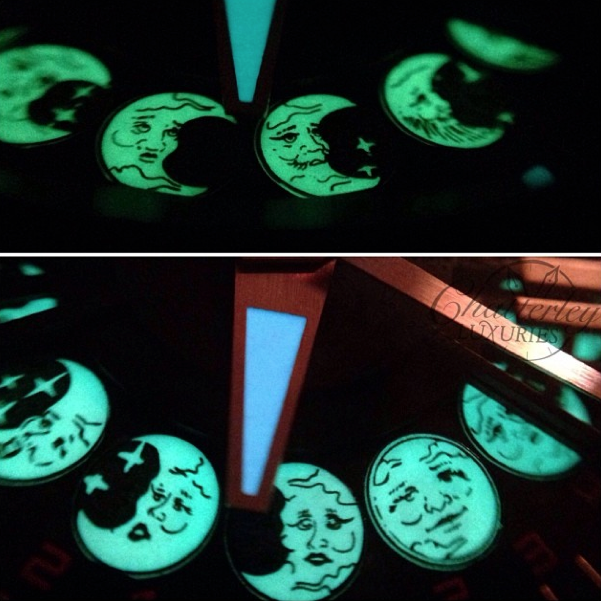 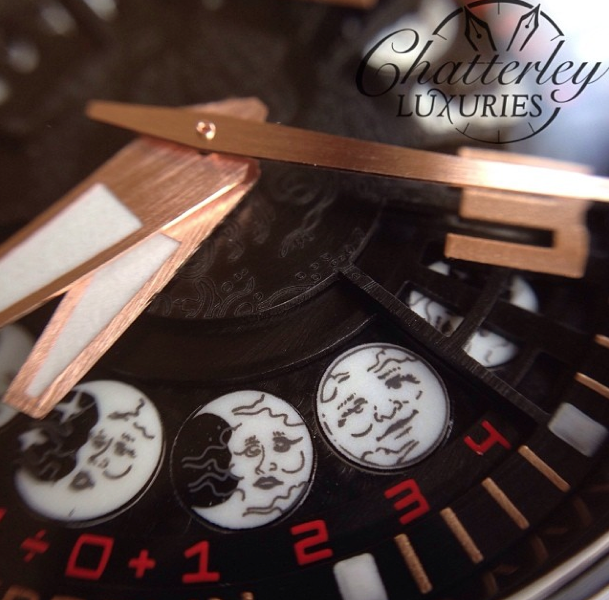 Oktopus Moon Tattoo complication displays luminous, imaginary and hand-drawn moons-phases on its dial. 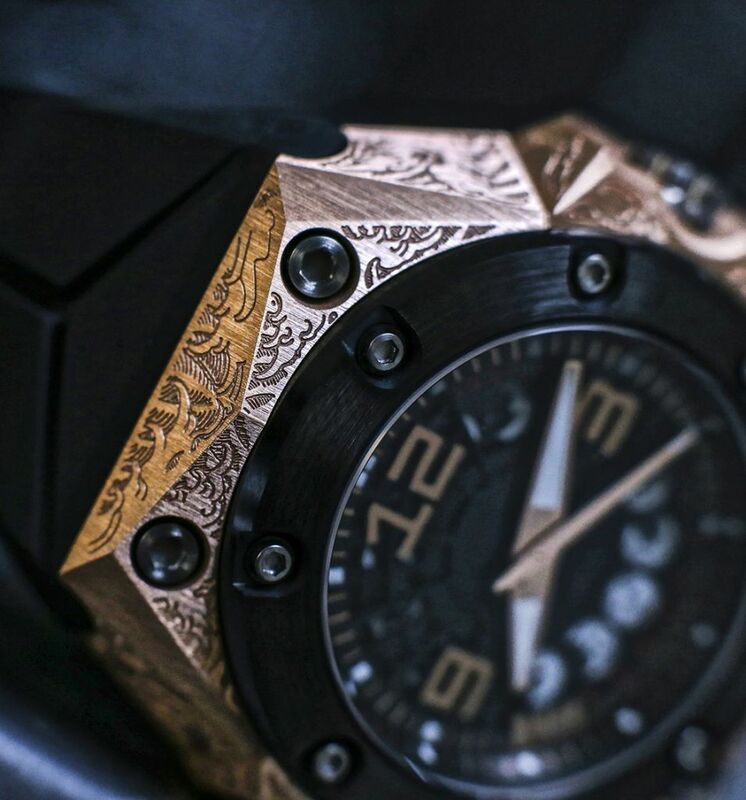 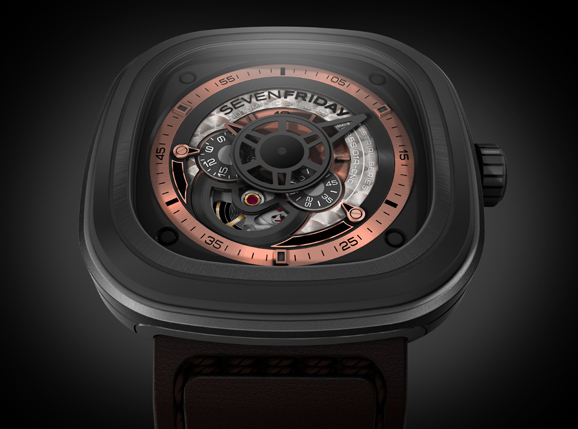 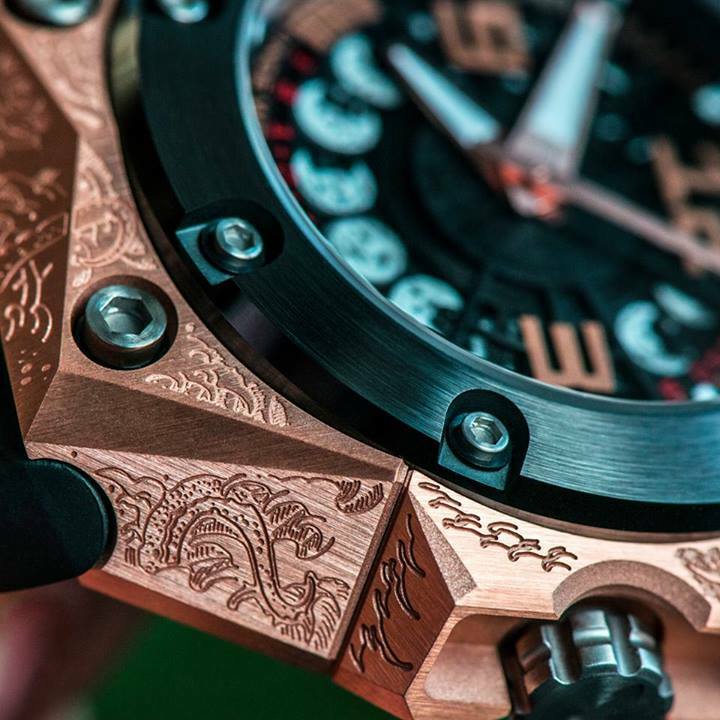 The engraving on the solid 18K rose gold case has been executed at different depths to create a three dimensional effect; an extremely challenging craft resulting in a unique masterpiece. 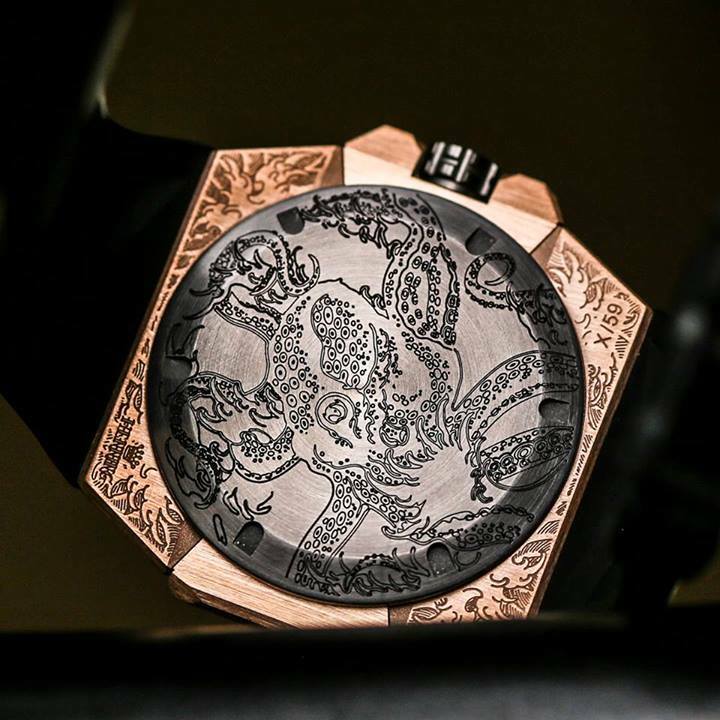 The upper dial is skeletonised and features three diamond-cut hands, it bears a beautifully engraved hand-drawn octopus in the centre. 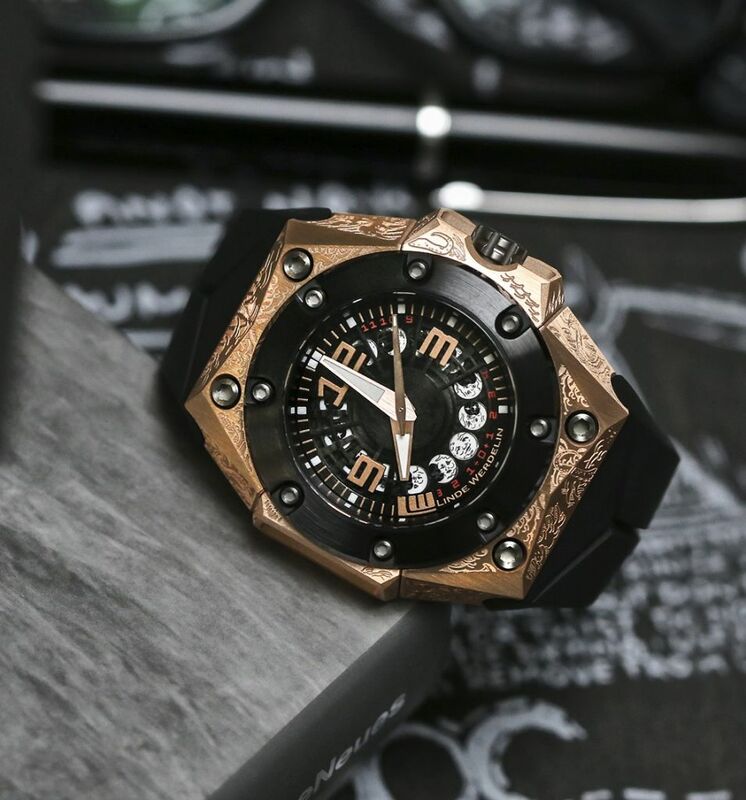 The marriage between modern thinking and traditional craftsmanship resonates throughout an LW timepiece. 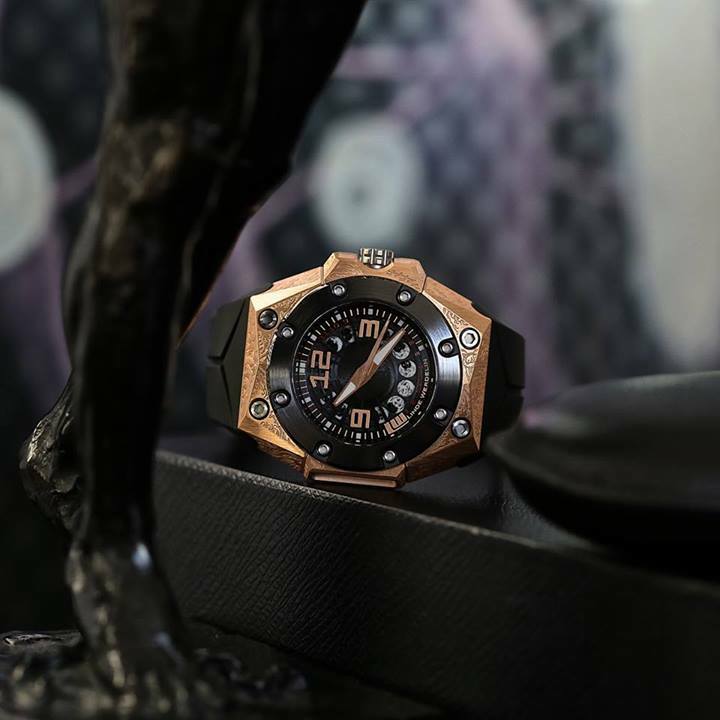 The Oktopus Moon Tattoo is the perfect balance of contemporary art, technology and innovation; transporting poetry and imagination into the world of time keeping. 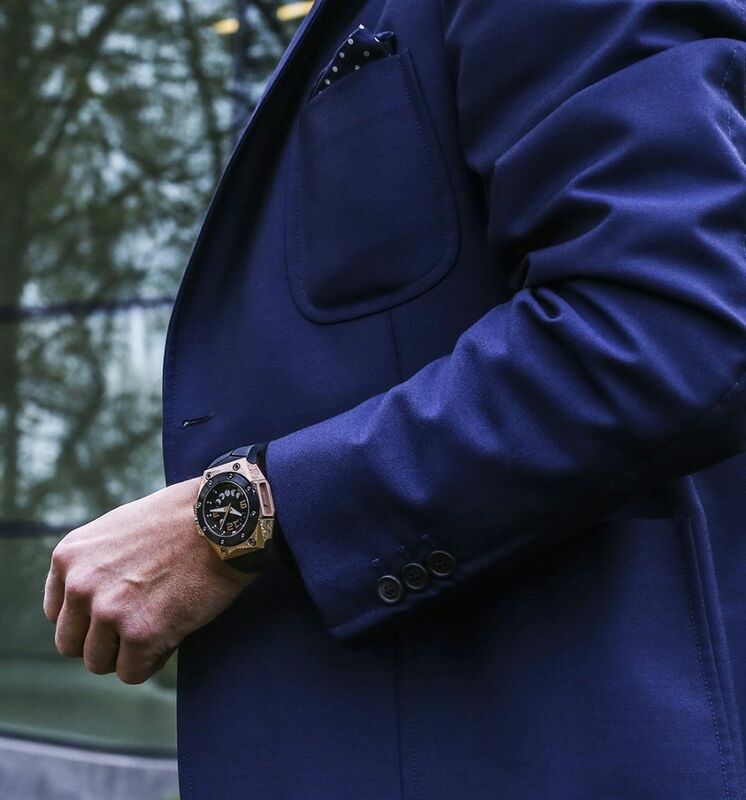 Limited to 59 pieces worldwide. 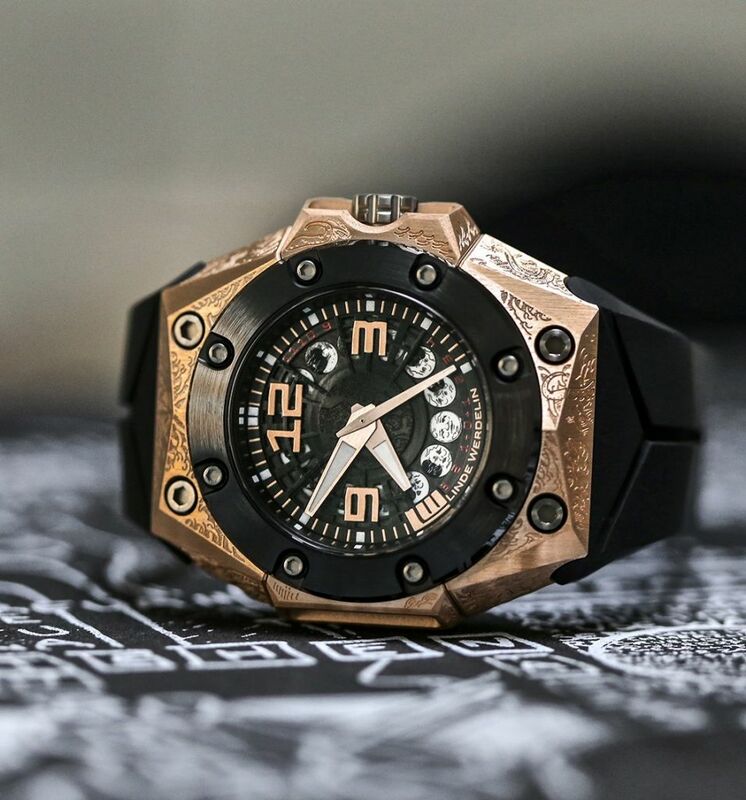 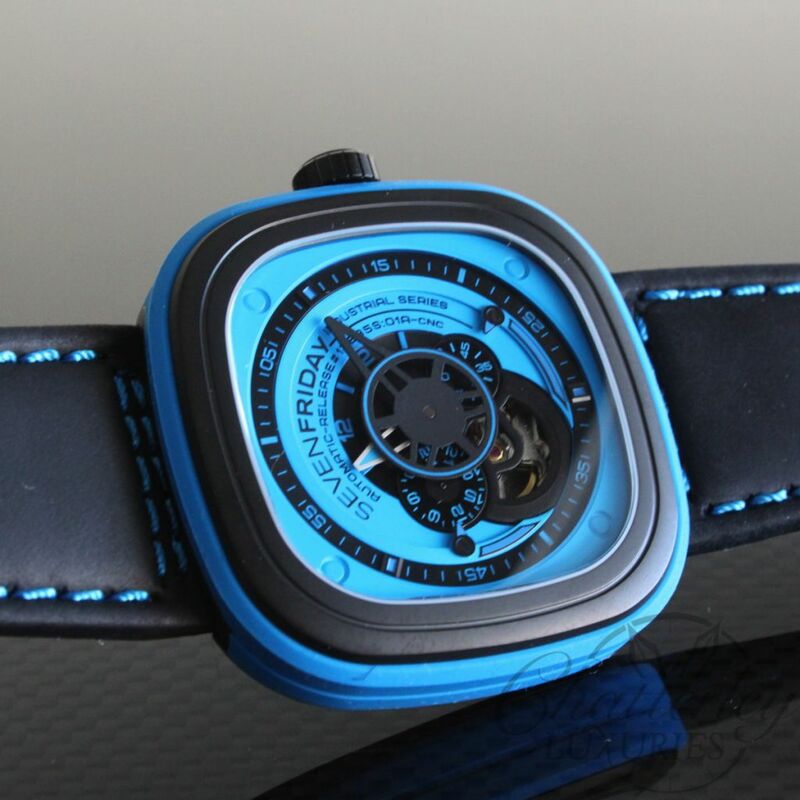 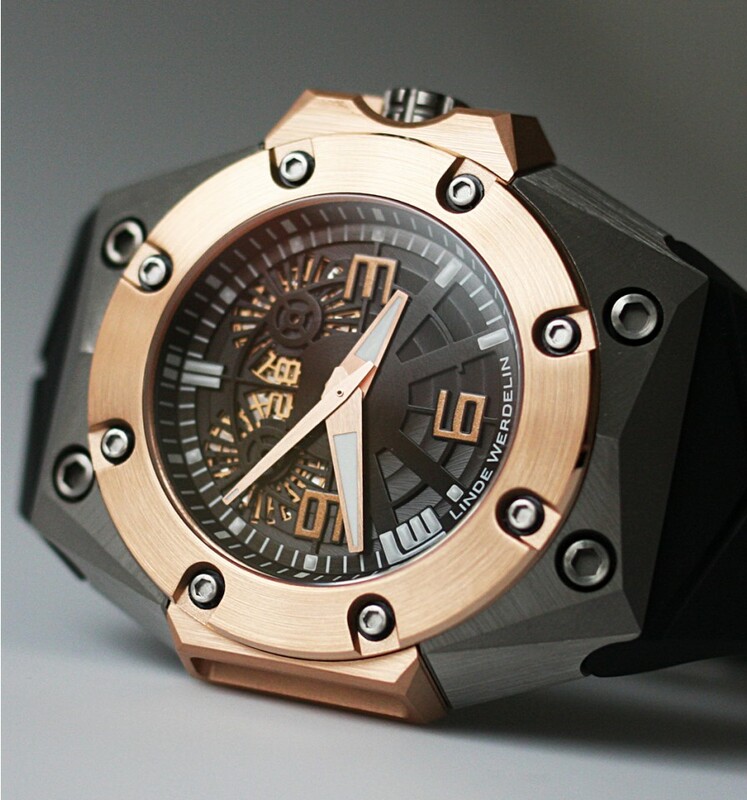 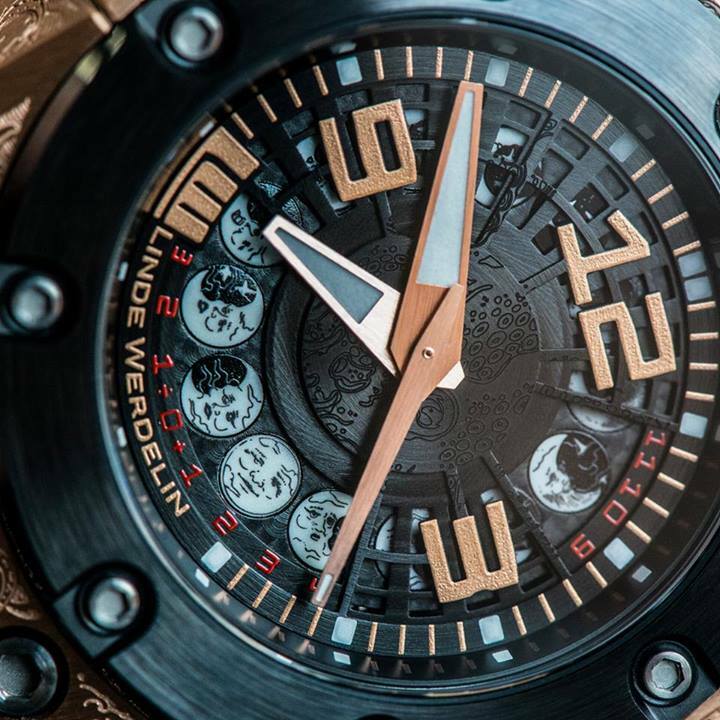 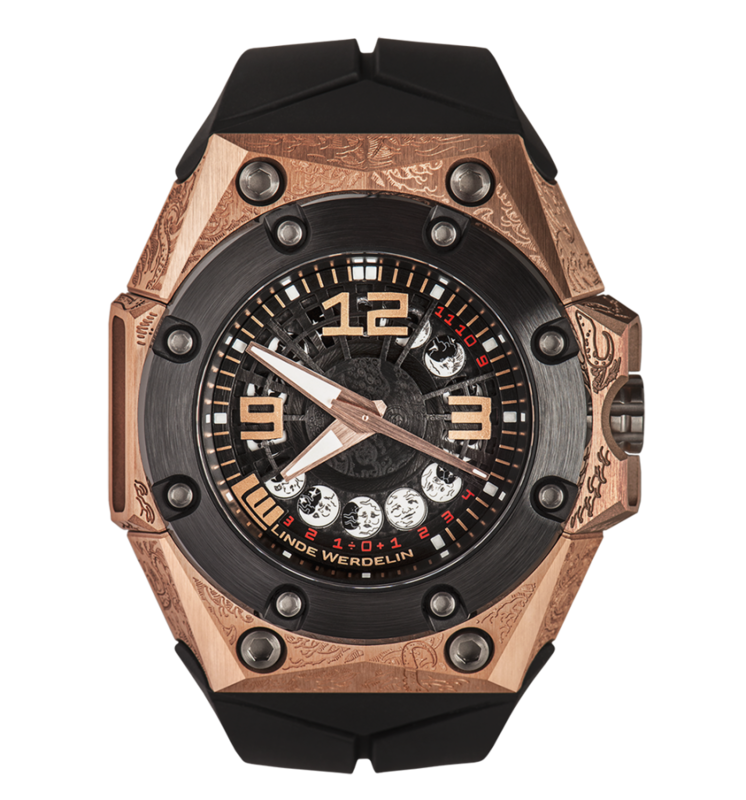 The Oktopus II Moon takes LINDE WERDELIN on a further challenge since the launch of its original moonphase dive watch. 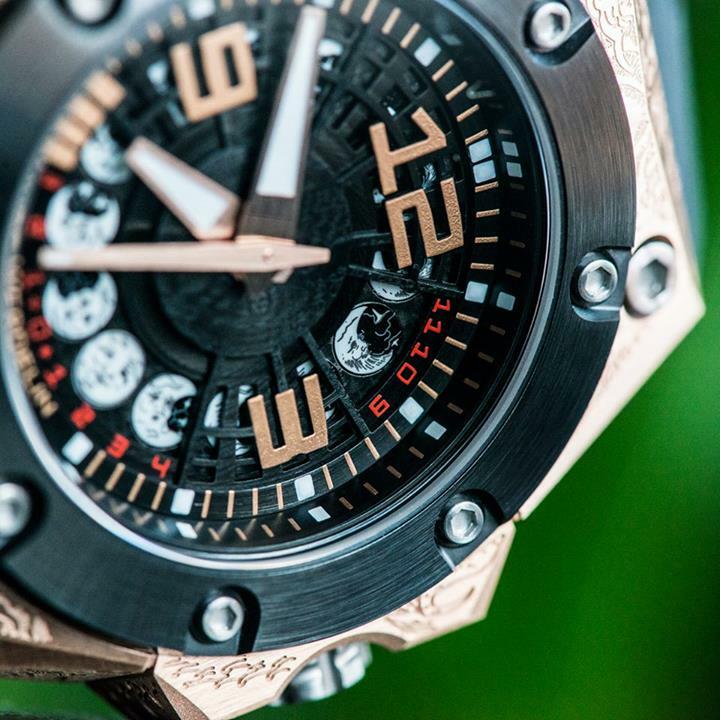 Oktopus II Moon’s complication displays the existing phase of the moon on its dial, Hand painted as the moon moves clockwise through its monthly cycle, more of its surface is illumined. 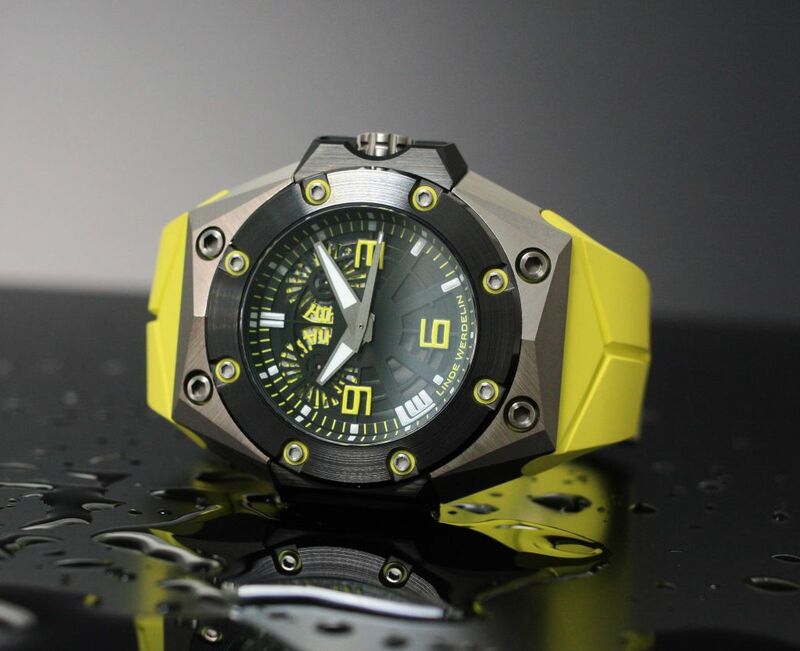 Strap-Bespoke high-end rubber strap, interchangeable within Linde Werdelin’s proprietary strap system.